This March sees a unique photography exhibition come to Gloucestershire, as for the first time in the UK a selection of Jean Mohr's iconic photographs for the book A Fortunate Man (1967) go on show. The pictures are a loan from the Mohr archive at the Musee de l'Elysee in Lausanne, Switzerland to the University of Gloucestershire. The result of several years work by Reading the Forest, twenty of the original black & white prints made by Mohr himself will be shown first at the University's Hardwick Gallery in Cheltenham, then in special weekend-long show at St Briavels in the Forest of Dean. 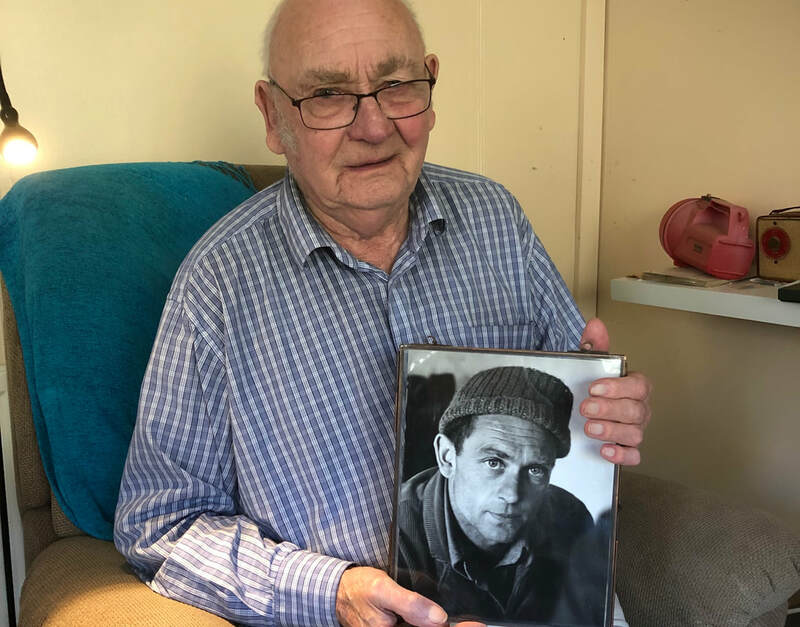 The photographs were taken by Jean Mohr when he spent several weeks following St Briavels GP Dr John Eskell as he made his rounds and held surgery. The book was a collaboration between Mohr as photographer, and the renowned art critic, author and broadcaster John Berger as writer. A Fortunate Man would become one of the definitive studies of what it means to be a GP, the doctor'-patient relationship, and the role of the GP in the community, and even today remains recommended reading for trainee general practitioners. Whilst the majority of the pictures on loan are the ones that appear in the book, also in the exhibition will be pictures showing Berger & Mohr themselves at work on the book, observing Dr Eskell and making notes. The exhibition focuses on the photographic aspect of the book, and is all the more poignant with Swiss photographer Mohr having passed away in November. This show follows on from last summer’s Reading the Forest weekend of exhibition, discussions and film screenings at St Briavels that marked fifty years of A Fortunate Man, with much of the focus being on Berger and Dr Eskell himself. 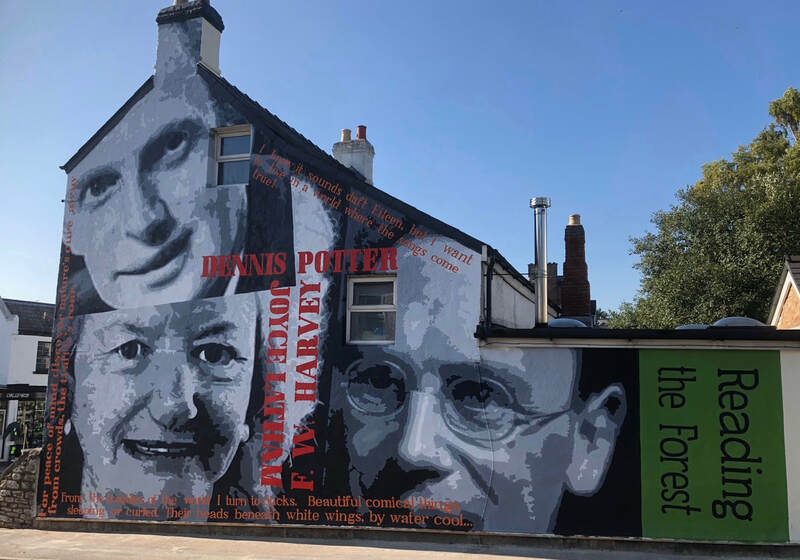 Whilst this new exhibition seeks to address the balance, visitors will get another chance to see some of the material from last year's show, explaining the background to the book, its authors, Dr Eskell, and the Forest of Dean in the 1960s. And bringing the relevance of Mohr's work right up to date, a group of University of Gloucestershire photography degree students will be following in his footsteps as they go on assignment in the Forest of Dean. Inspired by Mohr they will be spending two days in the Forest, hosted by a number of local organisations, photographing people at work and play to create a portrait of the Forest community today. This new work will then go on show alongside Mohr's in a fitting dialogue between a master of documentary photography and the next generation of photographers. The Cheltenham show runs from Tuesday March 12th until Thursday 28th (10am- 4pm, weekdays only) at The Hardwick Gallery. On Saturday 30th (11am-4pm) and Sunday 31st (10am-4pm) the show will be at St Briavels Assembly Rooms. Entry at both venues is free of charge. 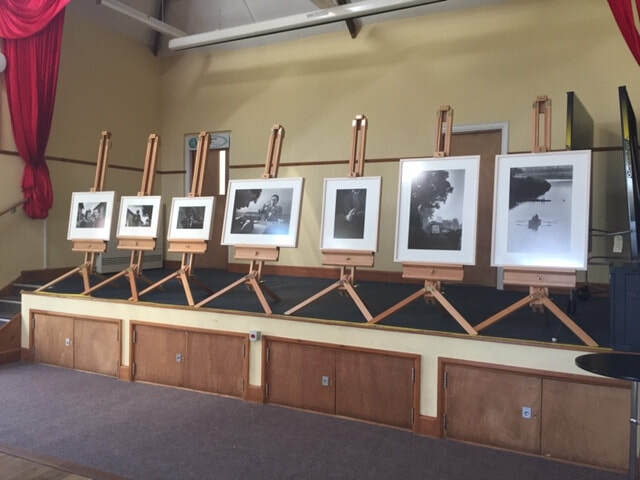 The exhibition is a partnership between Reading the Forest and University of Gloucestershire, Musee de l'Elysee, St Briavels Parish Council, the Janet Trotter Trust. Doug McLean opened The Forest Bookshop in the 1970s and it quickly became one of the cultural hubs of the Forest. Even more importantly Doug was soon publishing local authors - many of whom became close friends. 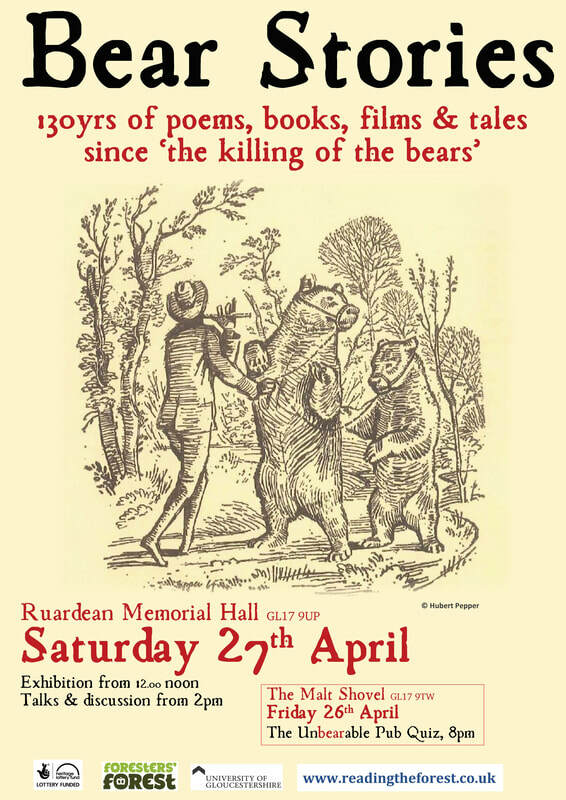 In what is sure to be a fascinating and entertaining illustrated talk at Newnham Community Library, Doug will be recalling over 40 years in Forest publishing. From books to recordings and readings Doug worked with some of the best loved Forest authors, such as Winifred Folwey, F.W. Harvey, Joyce Latham and Harry Beddington. Join Doug to hear all about them, on Thursday 17th January at the Armoury Hall Newnham, 7.30pm start - free admission. It's just over 50years since the book, A Fortunate Man, was published and during 23rd - 25th June Reading the Forest staged a series of events to mark it, and explore its relevance today. People from across the Forest of Dean and beyond came to see exhibitions, films, and talks, and to take part in discussions about the book. Although the focus was on the book itself, written by John Berger with photography by Jean Mohr, its subject, "Dr Sassall" - a pseudonym for the real St Briavels GP Dr John Eskell - was inevitably of interest to many of his former patients in the village. Some of their memories of him were captured before the event (you can hear one below, the rest here), with many more emerging over the weekend. In much of the discussion about him as a doctor, and the wider role of the GP, the immense value of continuity of care, (your doctor knowing you as a whole person over your life time), seems to have neatly trailed and backed up a report published today indicating that having the same doctor can actually prolong your life. With much new information coming to light about Eskell, and the book's author John Berger (who at one time lived in the Forest of Dean), the Reading the Forest team will be busy for some time finding out even more about this fascinating book and its origins - watch this space...! There was interest throughout the day at St Briavels Assembly Rooms. As well as the exhibition looking into the origins and context of the book, there was work by the School, inspired by the book, showing Foxglove Class's writing about and drawings of people in the village today. 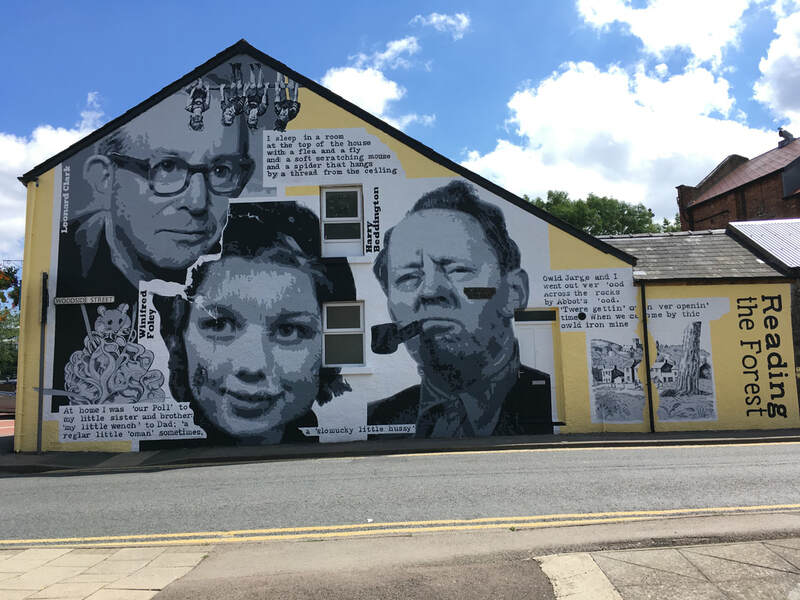 Local visitors were keen to share the names of villagers who were depicted in the 1967 book's photographs, and there was a great deal of reminiscence prompted by watching copies of Dr Eskell's cine films uncovered during research for the event. As well as the 1972 film, a 1967 BBC TV feature about the book was shown that included an interview with John Berger, and lots of local footage in and around the village, and footage of Dr Eskell himself. A lively discussion followed chaired by BBC Gloucestershire's Jo Durrant, with academic James Derounian, and photographer Dr Julia Peck both from the University of Gloucestershire, and local resident Dave Kent, and retired GP Dr Chris Nancollas. 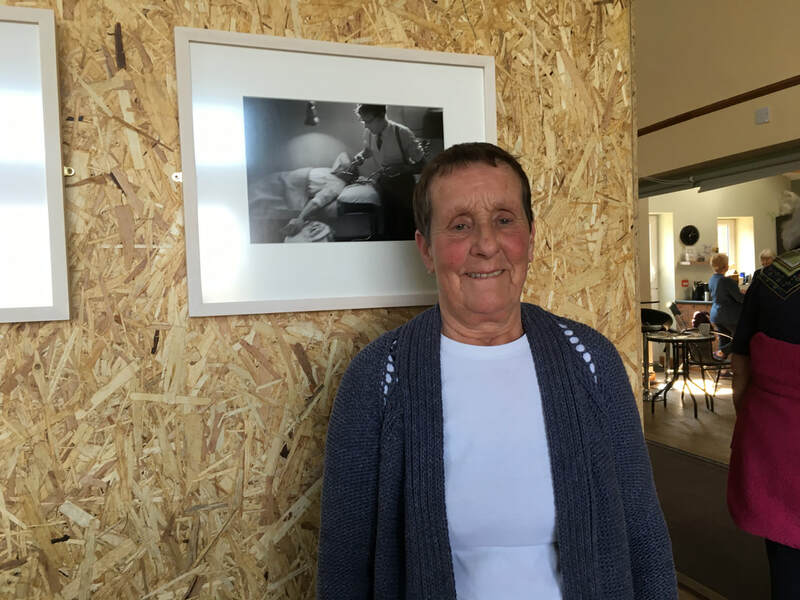 As well as many more visitors coming to see the exhibition, some former residents of the village found themselves meeting up with old acquaintances. Word had clearly spread, with interest again in the old films showing the village and its characters, including Dr Eskell hard at work leading the team clearing the castle's old moat. 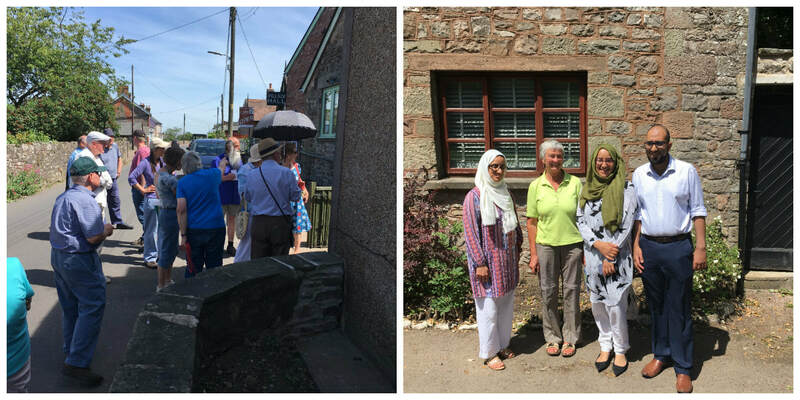 The weekend was rounded off with a guided walk of the village lead by Forest of Dean Local History Society's Di Standing and local resident Robin Harris. Amongst the visitors Sunday were a pair of young doctors interested in the real doctor and community behind the book - testament to the continued relevance and interest in this book 50 years on from its publication. A forgotten film made in the Forest of Dean will kick off our weekend of events marking 50 years since the publication of the book A Fortunate Man, with a screening in Soudley. 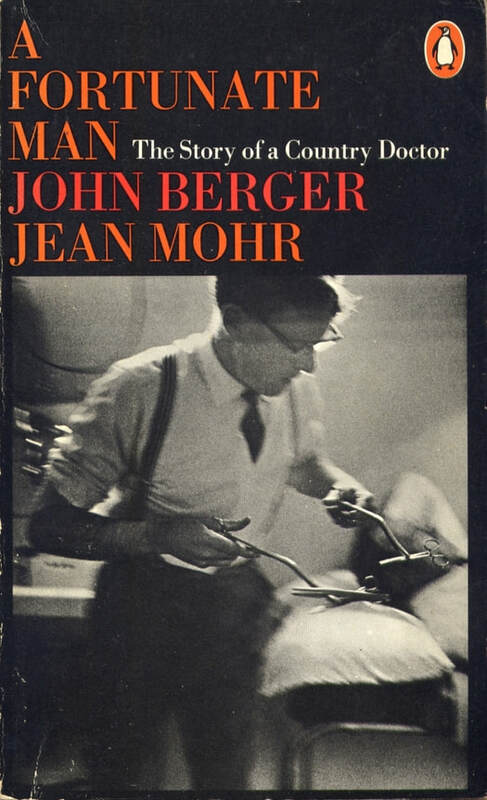 Made in 1972 by then young producer-director Jeff Perks, the film was based closely on the book by John Berger and Jean Mohr about a Forest GP and his patients. Though not named, the book was actually about St Briavels doctor John Eskell and featured photographs of him and his patients. The film was actually shot on location around Blakeney and Soudley. It features local people in all but the lead role of the doctor (played by actor Michael Bryant), and includes scenes with children and staff at Soudley School, and the children of Blakeney Hill Sunday School. Shortly after being made it was shown at a special Littledean House Hotel screening, then to the book’s author John Berger in London, but since then has lain largely forgotten in the vaults of the British Film Institute. Following a tip off from a local expert, Reading the Forest travelled to London to view the film, and lo and behold, there on the screen was the Forest of Dean. As well as local footage providing a backdrop to the drama, the film includes interviews with a local Freeminer underground, and rare footage of the former chemical works at Beechnehurst as two of the men that work there speak about their jobs. The film’s maker Jeff Perks (who now works as a sculptor and painter) will be at the screening. ‘I’m really looking forward to coming back to the Forest,’ says Jeff, ‘and especially hoping that maybe some of the people who appeared in the film will be at the screening’. The film will be shown at Soudley Village Hall at 7.30pm on Friday 22nd June, and again at St Briavels on Saturday 23rd June . Both events are free, and you're all welcome with anyone who remembers the film being made, or who was in it, especially welcome to the Soudley screening to meet Jeff and share your memories of the film.